When Marvin came into The Lost Dogs’ Home almost two years ago he was virtually skin and bone. Our seasoned staff were shocked at the state of neglect this gentle and intelligent dog had endured. Between the immediate and continued care provided by our veterinary team and lots of TLC from his foster carer, beautiful Marvin was nursed back to a healthy weight and was found his new home with Shannon and Alison. We recently received an extra special surprise when Belgian Shepherd cross Marvin made an in dog-person visit to the Home with his owners. 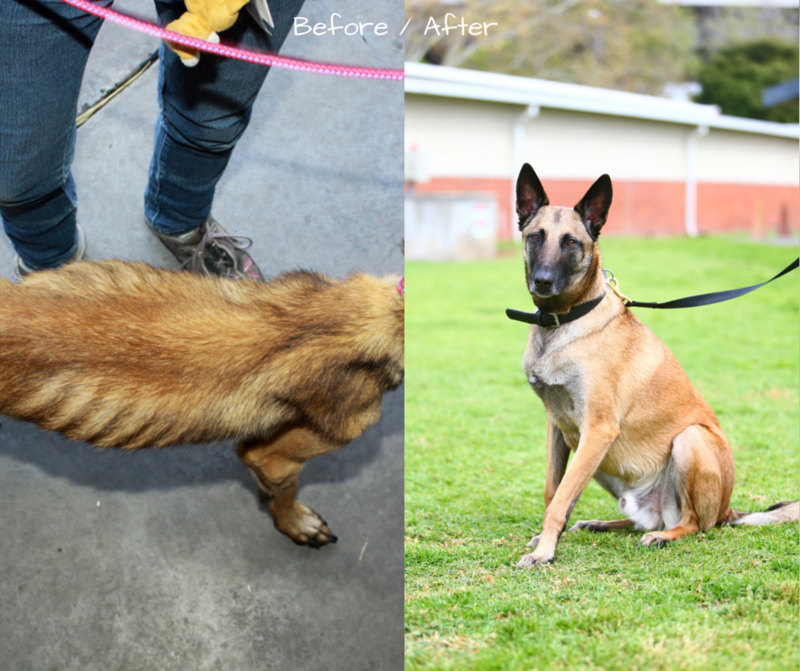 We were thrilled to see this once emaciated dog absolutely thriving in their care. 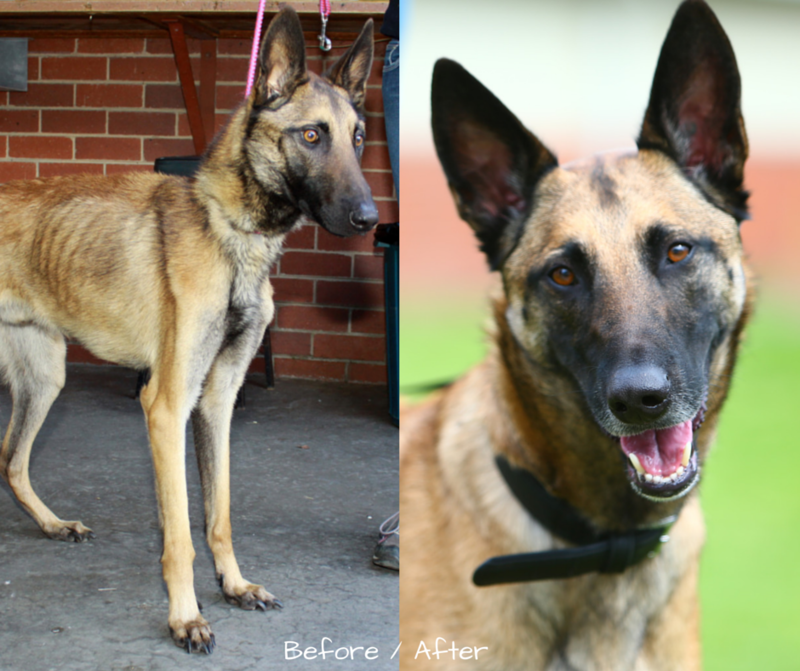 The couple had continued to gradually help Marvin gain weight and were proud to tell us he is now a very healthy 34kg and he has a lovely, glowing coat to match! Shannon and Alison described adopting Marvin as akin to hitting the jack-pot and are still in awe that after being so mistreated, he has maintained a beautiful, sweet nature. To them he is everything they wanted in a dog and more, and they consider him to be one of the kids. They are both determined to give Marvin the loving home he deserves. In the last two years he has never slept a night outside and travels everywhere with his family. They said that he loves riding in the car and when out shopping, Shannon will happily and patiently wait outside with Marvin and whilst he can still be a little anxious, they are working with him to manage and improve this. Shannon and Alison expressed their gratitude to the staff for treating Marvin with such specific care for his needs and giving them the opportunity to have this wonderful dog in their lives. We couldn’t be more grateful to see such genuinely kind people give this previously neglected dog the wonderful home he deserves.